Regardless of heart procedure, patients who adhered to prescribed medication were more than twice as likely to have event-free rates of survival. Heart bypass patients appeared to be more resistant than PCI patients to the negative effects of not taking prescribed medication. Not taking prescribed medications is common among patients who had either bypass surgery or PCI. DALLAS, Oct. 24, 2016 — Medications matter, but if you are a heart patient who doesn’t take them as prescribed you may have a lower trouble-free survival rate and heart bypass surgery may be more beneficial than percutaneous coronary interventions (PCI or stenting), according to new research in the American Heart Association’s journal Circulation. Coronary artery bypass surgery redirects blood flow to the heart around clogged heart arteries. During PCI, doctors reopen blocked arteries by threading a catheter through the femoral artery in the groin or the radial artery in the wrist. Researchers investigated the impact adherence to optimal medication therapy had on the long-term benefits from heart bypass surgery and from stenting. Using a study sample of 973 heart bypass patients and 2,255 stent patients, researchers collected data on procedures performed between Feb 1, 2004 and July 31, 2004. Follow-ups were performed between 12 months and 18 months and starting again in 2009 to monitor both adherence to prescribed medication and to report any circulatory difficulties, including fatal and nonfatal heart attacks, or any repeated bypass or angioplasty procedures. Optimal medical therapy included blood thinners (aspirin or one year of double antiplatelet therapy for stent patients), statins to lower cholesterol and beta blockers for heart surgery patients. When analyzed, both blood thinners and statins appeared to have a profound impact on event-free long-term survival of heart patients. However, among patients who were not adherent to medication therapy, there was a marked benefit for heart bypass over angioplasty. Non-compliant bypass patients were 68 percent more likely to survive free from complications than non-compliant PCI patients. Among patients who adhere to recommended medication therapy, there may not be a clinical benefit for bypass over PCI. Both heart bypass patients and stent patients who left the hospital on aspirin and statins and were still on both medications at all follow-up checkups enjoyed better event-free survival rates than patients who at any point were not on their medication. “Adherence can have a dramatic impact on the long-term outcome of both heart bypass and angioplasty patients, and that impact may be more compelling in angioplasty than in bypass patients,” said Paul Kurlansky, M.D., study lead author and assistant professor of surgery at Columbia University Medical Center and cardiac surgeon at New York-Presbyterian/Columbia University Medical Center in New York City. Researchers said that because heart bypass seeks to restore blood flow to the heart while stenting focuses on clearing blocked vessels, the benefits of heart bypass may rely less on appropriate medication therapy. 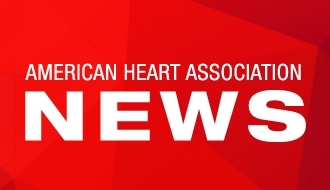 “We know enough from this study to seriously ask the question – are patients unwilling to adhere to medication schedules better off choosing heart bypass over angioplasty – but the answer needs to come from larger more contemporary trials,” Kurlansky said. Co-authors are Morley Herbert, Ph.D.; Syma Prince, R.N., B.S.N. ; and Michael J. Mack, M.D. Authors had no conflicts of interest to disclose. HCA Healthcare and the Florida Heart Research Institute funded the study. After Oct. 24, view the manuscript online.